If you haven't checked out our Kindle book series, Witchcraft Spell Books, yet, then consider making that your New Year's resolution for 2014 and get started inviting magic that works into your life this year. The 4th book in the series is a compilation of the other three books so you'll find lots of magic that works in real life there. Just to give you a sample of what this book has to offer we present here a magical technique from that book that you can use right now to get your new year off to a good start by getting rid of those unwanted things that no longer serve you. This technique is a Fire element magic spell called the Firebowl Burn. A firebowl is a magical tool that can be used for a variety of techniques including divination and cleansing. Before you start the Firebowl Burn you will obviously need a firebowl. Here's how to make your own firebowl and charge it so that it is ready to use as a magical tool. 1. When choosing a firebowl, look for one that is made of brass, cast-iron, ceramic or a hard hardwood. It should be 4-6 inches in diameter and 4-5 inches deep. It should also be a shape that is easily held with one or both hands and light enough to carry in one hand if necessary. Make sure your firebowl is of a shape that will be stable when placed on a flat surface. The shape of the bowl should also be curved-in and flared back out at the top rim to promote "columning" of incense or smoke. 2. To use your firebowl you will need to fill it with ground fire clay or clean, fine sand. Non-scented cat litter (which is ground clay) works well as long as it does not have chemicals or deodorants in it. Put 1-2 inches in the bottom of your firebowl as an insulator to protect the firebowl itself, your hands and any surfaces from the heat. 3. You will also need some self-starting charcoal disks. These can be purchased from religious supply stores, new age stores or online (we have them in our school store too). Round charcoals with bowl-shaped depressions in the middle are the best to use. There is a kind with pie shaped depressions, but we find these do not work as well. 4. You will need wooden or paper matches to light your charcoal. The scent and energetic side-bands associated with butane and other petroleum products change the fire-band you are working with so don't use lighters to light the charcoal disk. 5. You will need to collect or purchase pine resin to burn on the charcoal disk as well as finely ground or rubbed sage. If you collect sage, you can grind it in a blender or coffee grinder. You also need to collect some finely chopped or shaved wood chips or tree bark. This is used to insulate the charcoal from the pine resin or incense that you burn in the firebowl and to facilitate the burning of the materials you use in your firebowl. You will sprinkle the shavings on the charcoal and then put the pine resin and sage on top of it. The last thing you will need for this exercise is a Sun Yellow utility candle. Make sure it is pure sun yellow colored without any orange tones to it. An unscented candle is best to use. 7. A voice of command should be used when saying the charge verse. The verse will vary according to what you are programming the firebowl for. Here is the firebowl charge verse you will need for the Firebowl Burn ritual. Send far from my life these negative factors! This is a good ritual for anytime you feel angry, negative or want to get rid of unwanted factors from your life. It matches the energy of anger so well because it burns, it is really simple to do and very satisfying. Be sure any time you are using fire to observe fire safety precautions. Here's how to do it. 1. Sit in the South facing North with your firebowl, a Sun Yellow candle, pen and lots of blank paper, paper or wooden matches, wood chips, pine resin and sage. 2. Light and charge the Sun Candle. 3. Charge the firebowl as instructed above. 5. Now place your firebowl in front of you and make sure it is large enough to accommodate the papers you have written on for you to burn them in it. If it is not large enough then move it to a sink or somewhere else that will be safe for burning. 6. Before you actually use your matches to light the papers, pause and do whatever you need to do to move the anger out of you. This might be asking for help from angels or guides, taking some deep breaths or just having a few moments of silence. 7. Now light the papers with your wooden or paper match and watch your troubles, anger and negativity go up in the smoke. You can do one paper at a time or all of them at once, whichever feels right to you. Again just be sure to observe fire safety precautions. Watch the smoke as it rises and feel the last remnants of your unwanted factors rising out of your body with it and floating away. After performing the ritual take a few moments to check in with yourself and see how you are different, see how you are feeling. If you have an especially stubborn or chronic problem, it may take more than one time of performing the ritual. In some extreme cases it may take doing the Firebowl Burn daily for 40 days. 40 is an effective number spiritually and doing the ritual consistently for this period of time gives you conscious daily contact with the Universe that will add to the strength of your spell matrix. If you choose to do this, it is important to be consistent. If you miss a day, then you will need to start over counting your 40 days at day 1. Don't beat yourself up about missing a day though, the more you do this ritual, the stronger your spell matrix will become. This continuous daily contact and exercise of intention will allow you to build up a vast reservoir of energy that will help you in all types of manifestations for what you do want in the coming year. 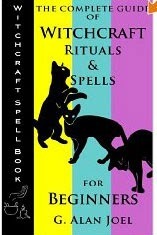 Have a Happy and Magical New Year in 2014 and make a resolution to check out our full beginner's guide to magic with The Complete Guide of Witchcraft Rituals and Spells for Beginners in the Kindle book section of Amazon.com. If you have a computer, tablet or Smart Phone, you'll be able to access this book of magic that works; you don't have to have a Kindle. Start out 2014 in a magical way and experience for yourself what magic can bring to your life. In this article we are going to give you directions to try out some magic that works for yourself using simulacra magic. A simulacrum is a likeness. And this magic that works technique can help you with such issues as ridding yourself of a bad habit, losing weight, getting rid of a bad debt or anything else that you want to reduce or get rid of unwanted situation in your life. In simulacra magic you key an object to a person or thing and whatever you do magically or otherwise to the object also happens to the person or thing it is keyed to. Simulacra magic falls into the area of Water and Earth spell work. As with all spell work, record everything in your book of shadows and remember that magic is a precision science and altered procedures produce altered results. This procedure is one of the many you will find in our Kindle book Learn How to Do Witchcraft Rituals and Spells with Magical Tools. For this procedure you will key an apple to anything that you want to shrink, whether it is your level of body fat or a chronic bad habit that you can't seem to shake. 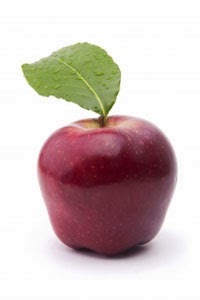 Keying creates a correlation or psychic connection between an object (in this case an apple) and a situation, person or thing. Magically keying "programs" the apple. In this basic spell, you will put the apple on a keyed Plate and allow it to wither slowly over time. As the apple withers, the situation to which you've keyed the apple will also shrink. An apple makes a good simulacrum in this case because it withers at a slow and believable rate. To be effective, the process of change to the simulacrum object has to progress at a believable rate. If you try to push simulacra magic too fast, it will backfire on you. For instance, an apple can take several weeks or months to fully wither, which is appropriate for shrinking certain problems like body fat. Using a bowl of melting ice cream on the other hand to represent the process of melting body fat would be much less effective since it would be difficult for your body to shed fat as fast as the ice cream would melt. Before beginning this procedure you will need to key a Plate. The Plate is the magical tool for the Earth element and is also known as a Shield or Pantacle. The Plate is often used to shield various magical operations from outside interference, and protect small magical objects such as pendulums and talismans. Keying magical tools clears any impure energy from it, aligns all the molecules so the energy flows in a particular direction and personalizes the tool to you. In this case the keyed plate is used to prevent interference with your spell and keep the spell energies focused on the apple. 2. Grip the Plate with your thumbs on the top surface of the Plate and the rest of your fingers supporting the underside of the Plate. 5. Circulate Grass Green for about three minutes, then pull your Earth energy back into your body. 6. You will know the plate is keyed when it feels slightly tingly, heavy, warm or loaded or definitely different than before you keyed it in some way. Anytime you are doing spell work you need to write directors and limiters. For this simple procedure they may or may not be necessary, but it is good practice and helps insure that you are being precise in letting the Universe know what your desired outcome is. If you decide you need directors and limiters for the situation that you will be using the apple as a simulacrum, then refer to this article. Basically directors are a written list of what you want the spell to do and limiters are a written list of what you do not want the spell to do. They define the what, how, and when factors of a spell by stating the purpose of the spell, how certain elements and energies are to be used, the safeguards on the spell and when the spell will start and stop. After you write your list on a piece of paper, fold it and place it on your keyed plate. 1. 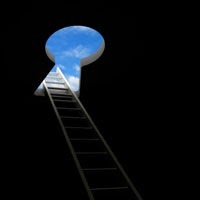 Key the apple to the problem or situation that you want to reduce by holding the apple in your dominant hand while you think about everything you can about the situation. Using your intention focus on all the details about the situation and the information you wrote about it in your directors and limiters. You can flow thoughts and/or emotions about the situation into the apple. The more details you use, the more accurately the apple will be keyed to your situation. 2. When the apple feels charged, full, warm, heavy, tingly, or different in a magical or energetic sense then it is keyed and ready to use. Put it on top of your keyed plate on top of the folded list of directors and limiters. 3. If you quick keyed your plate instead of using a more permanent keying method, you will need to quick key it each day for your plate to stay keyed. This also gives you a chance to restate your intentions which helps the procedure along. You can strengthen the spell by re-keying the plate daily and then reading your directors and limiters aloud while holding the apple in your dominant hand. This adds energy to the relationship between the situation and the apple. 4. Now here comes the hardest part for some people – Wait and be Patient! The goal is to achieve a permanent and lasting result and that takes time, energy and daily maintenance. A spell of this nature can take from several weeks to several months to manifest. Negative energy like impatience will only hinder it, so be sure to stay in a positive mood especially when doing your daily keying. Over time your apple will wither and with it the situation you keyed to be represented by the apple will wither with it. Try this simple ritual out for yourself and start experimenting with all the ways you can use magic that works to improve your life. We find many people interested in magic or wanting to develop psychic abilities who want to believe that magic is real, but for a variety of reasons are skeptical. We never want you to take anything we present in the realms of magic as the truth and nothing but the truth without checking it out for yourself. We know that magic can improve one's life, resolve daily life problems, help one develop psychic abilities and communication skills that allow one to co-create with the Universe to manifest those things one desires in life. We know these things because we have experience with them and have observed them in work in our own lives as well as the lives of our students. But until YOU have experienced them and observed them for yourself, you should absolutely remain skeptical. When we present teachings through our classes, articles and blog it is up to you to try out suggestions and exercises exactly as they are described and test the results for yourself. Procedures do need to be followed exactly as described since magic is a precision science and altered procedures produce altered results. By trying out these exercises and rituals for yourself, you will be able to determine if they are useful and helpful in your life and if magic is real for you. Until you have the proof for yourself from your own actions, you may be totally skeptical or one of those who think or believe magic is real, but don't see on a deeper level all the changes and wonders magic can bring to your life. Here is a story from one of our students that you'll find in our first Kindle book of the Witchcraft Spell Books series. This story shows how a friend of hers who was pretty skeptical about magic turned his thinking around after having an experience of his own. I have a friend who is a very practical, grounded sort of guy. He does not believe in things he cannot see or explain to himself. Throughout my magic class however, he had to admit that what I was doing had merit, even though he could not understand it. I had done several healing techniques on him that had wonderful results that he could not deny. Now in his house there was some type of Spirit in residence. It knocked things over, flushed toilets at night, and generally did all sorts of things we had always thought were along the lines of practical jokes. One day it moved a heavy dresser, which had previously taken four grown men to move, across the room. My friend finally admitted that he, too, believed there was something there--a Spirit or ghost. He asked me if I could find out any information about it. Through pendulum work and Tarot readings, I was actually able to get quite a lot of information about why this Spirit was in this particular house, the name of the Spirit, some basic information about him, and what the "practical jokes" were really about. I passed this information on to my friend. From that time on my friend began to talk to this entity by name and include it as part of the family. The "practical jokes" stopped, since the Spirit now had the attention it was trying to get. One night my friend had fallen asleep with a heating pad on his sore shoulder. He dreamt of this Spirit--even hearing the Spirit's name in the dream. In the dream the Spirit was telling him to wake up and put out a fire. It was such a vivid and real dream that my friend could actually feel the heat of the fire. He suddenly woke up and found that the heat he was feeling was not just in the dream. It was real. Something had malfunctioned with the heating pad, and it was smoking and beginning to burn him! In a state of half-sleep he turned the heating pad off, and thanked his Spirit friend for the warning. However, he did not unplug the pad from the wall outlet. He returned to sleep with the heating pad now on the floor next to the bed. Again he dreamed of his Spirit friend trying to wake him up and leave because the house was aflame. He awoke to find that the heating pad was still smoking and had just started a flame on the carpet next to the bed. It could have easily turned into a house fire if his Spirit friend had not come to him in Dreamtime and awakened him. Thanks to Luna for sharing this story with us. It is a very powerful example of how exposure to magic helped her friend not only develop psychic abilities and receive communication from a spirit friend, but how doing so gave him the experience to see how magic made a tremendous difference in his life, a lifesaving difference as it turns out. Not everyone's experience will reveal something on such a dramatic level, but even finding help with small things in life, being able to affect the weather or just being able to create a sacred space in your life for some peace and harmony can improve your quality of life. You'll find more magical stories and directions on magical procedures to try out in our Learn How to Do Witchcraft Rituals and Spells with Your Bare Hands Kindle book. Check it out for yourself and make your own decision on if magic is real. Here's one of the daily magical rituals from our Daily Rituals for Attracting What You Want in Life ebook that gives you magic that works in a simple litany you can try out. This ritual can simply and quickly help you get rid of pain, anxiety, or tension. Since all of these are fire energies and water carries fire energy, using the natural flow of water in your shower can literally flow your tension and pains down the drain. 1. Move your showerhead so that the water will hit you at the base of your skull and run evenly down your back and front. 2. Turn on the water with water being cool, just below body temperature. Too cold will create tension and too hot won't carry pain away. 3. Get in the shower with back towards the showerhead and as water runs over you and down the drain, picture your body as a glowing heat coil. 4. Flow excess tension or pain from inside your body to the surface of your body. 5. See this fire energy mixing with the water, going down your body and down the drain. Flow with water, down the drain! 7. Keep repeating the verses and above process until you feel the pain or tension is gone. This is one of the great daily magical rituals you can do to wash away unwanted energies. If you have an especially stressful life situation and build up tension easily, then this daily magical ritual will really help you get a handle on your stress. In these type of circumstances it may take several showers to get rid of all the buildup you've accumulated, so be patient and don't give up too soon. When it comes to daily magical rituals, this is one that you can see results pretty quickly and know it is magic that works. But don't take our word for it, give it a try with your next shower. Is magic real is the number one question we're asked over and over again. The simple answer we could give is, Yes, magic is real. But in our mission to spread real magic to more and more people, we start with a different answer. First when answering the 'is magic real' question, we like to give people a way to answer this question for themselves. We urge them to not take our word or anyone else's word, but to try magic out for themselves and decide is magic real for themselves. To accomplish this we point out that a good place to start is with the articles on our website and our blog. Many of these articles have exercises that can be tried out to test your own results. This is a good way to try out some safe, simple beginning magical techniques with no investment. You can read all our articles, subscribe to our newsletter and/or subscribe to our blog all for free. The first article we recommend people to start with is our Is Magic Real article. Through this article, people can get an idea of what real magic is all about. This weeds out people who are only interested in fantasy type magic by explaining how real magic works and what it can bring to one's life. It also presents a magical exercise that people can try out to get a taste of what real magic is like. After that the answer to the question 'is magic real becomes one each individual can answer for themselves based on his or her own experience. Those who decide a magical path is for them can find more serious study options on our website to fit any budget. Whether it is books, ebooks, homestudy courses or our new Kindle book series, we have the resources to help you get started on your magical journey.